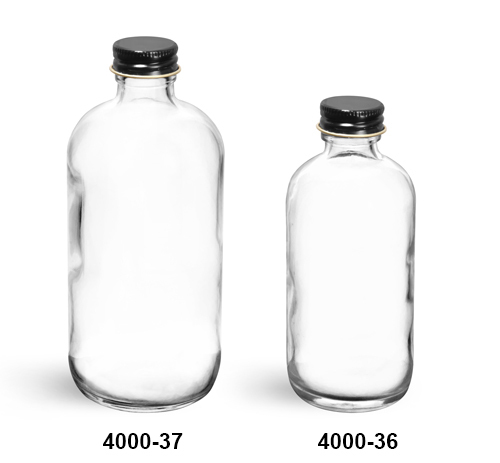 Each case of clear glass boston round bottles comes with foil lined black metal caps. 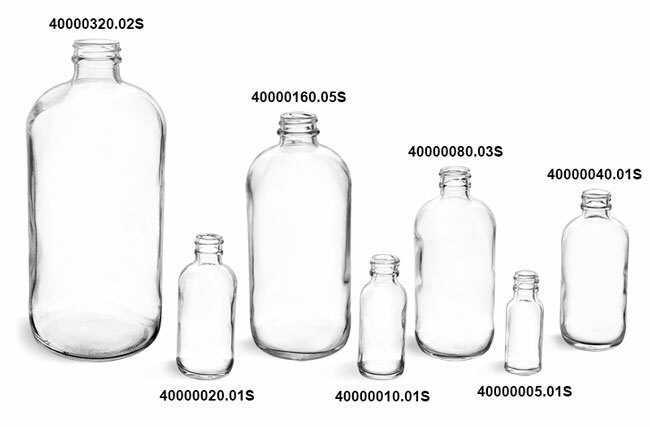 These bottles may be used for many applications including testing labs, research centers and food industries. 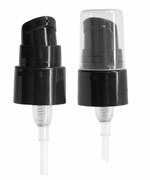 The foil lined closure is the cap of choice for researchers everywhere. 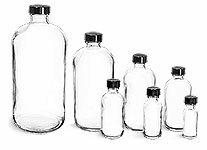 All glass bottles are packed securely with cardboard dividers to prevent damage. 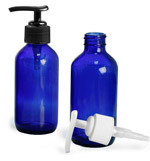 Be sure to test all products with these containers for proper compatibility.